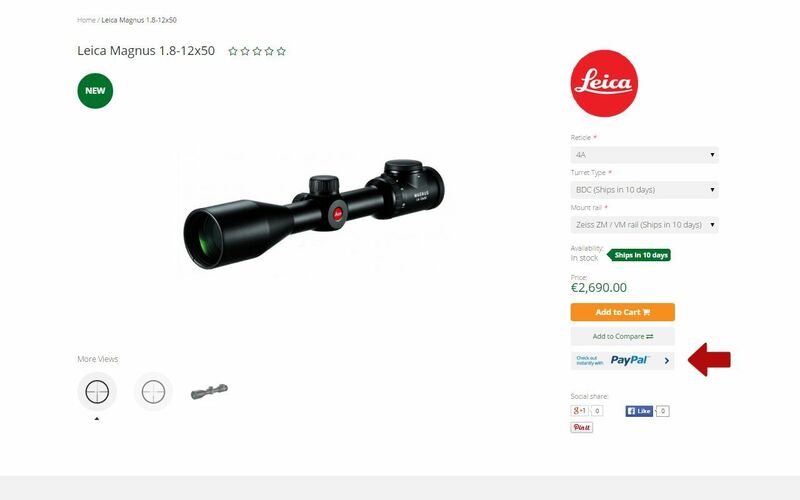 We offer the possibility of cash on delivery in EU only when UPS shipping services are used. UPS will attempt to collect the amount shown on the C.O.D. tag or package label, and then send the payment to you. If UPS cannot collect the payment after three attempts, the package will be returned. Money transfer in a form of Bank transfer is also a payment method we offer to our customers. Customers go through all the usual steps with their order but at the final checkout page they choose Money transfer as their preferred payment method. We then form a PDF Proforma invoice which carries all the information needed for a Bank transfer. Our Company information, IBAN, Swift/BIC code and Bank address is on the Proforma invoice. As soon as the funds are received in our account we proceed with the order and the order is processed the same way as if the payment was made by any other method. Credit Card payments are possible with the following credit cards: VISA, VISA Electron, MasterCard, AMEX, Diners, JCB and Maestro. 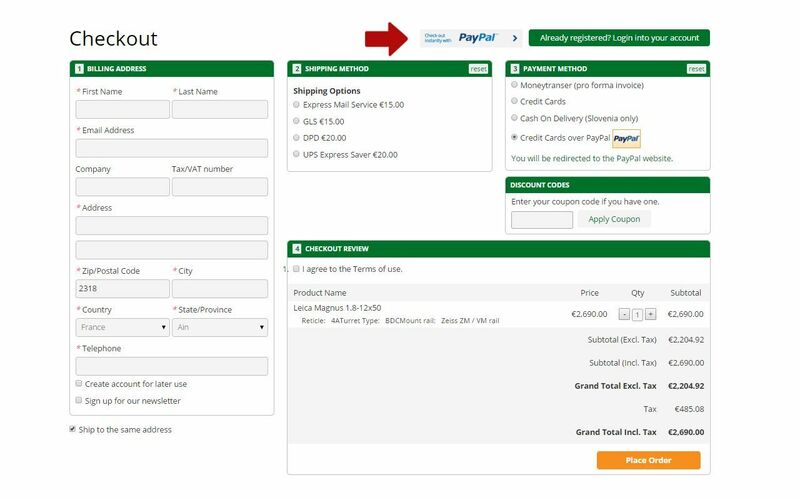 When an order is completed at the checkout page and this payment method is selected, customers are redirected to Activa secured page, where they can input their credit card information and complete the payment. Individual steps of such payment can be seen below. We make sure that all the pages where you are exposing your confidential information are encrypted and secured for your safety. Payment by installments are possible with the following credit cards: Diners and American Express. 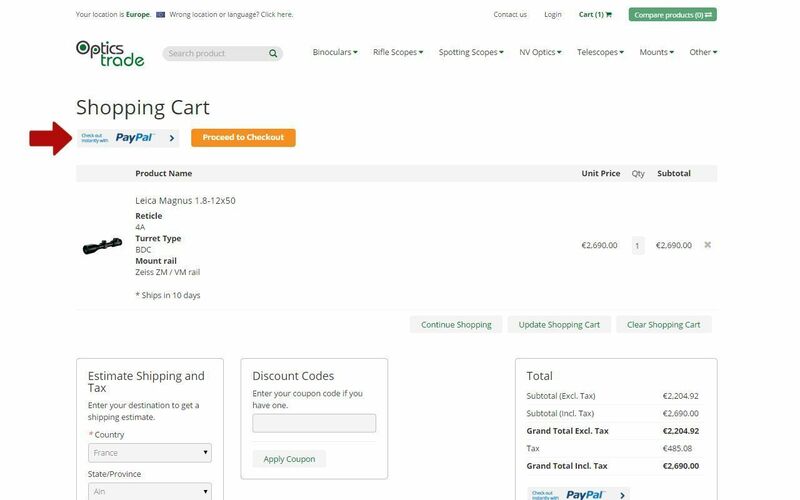 When an order is completed at the checkout page and this payment method is selected, customers are redirected to Activa secured page, where they can input their credit card information and complete the payment. One of the fields in the payment procees is including the number of installments. We make sure that all the pages where you are exposing your confidential information are encrypted and secured for your safety. PayPal is currently one of the most trustworthy and popular payment method for online purchases. PayPal is safe and easy-to-use and for these simple reasons, it is one of the most popular payment methods in our store. 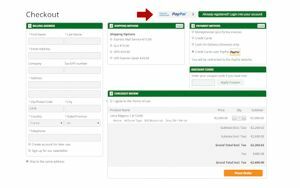 There are several different options on how to use PayPal on our site. 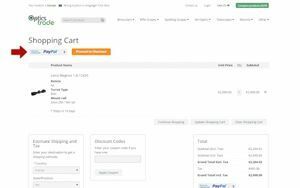 PayPal Express Checkout is the fastest method which requires only clicking the PayPal Express button on the product page or at shopping cart page or at the checkout page. PayPal Invoice is usually used when you decide to buy a product we do not have listed on our webpage or when you decide to make a down payment (advance payment of 30% of the full value) for a product that will have a longer production time. 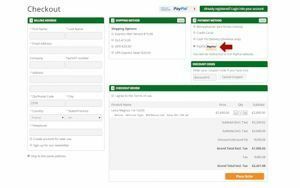 PayPal invoice is sent in an email with all payment instructions and can be paid with PayPal balance (if you have PayPal account) or with a wide range of Credit Cards without any registration needed. Credit Cards over PayPal is an effective way to pay with a wide range of different credit cards which are accepted by the PayPal system. You do not need a PayPal account for this payment method and you do not need to register. 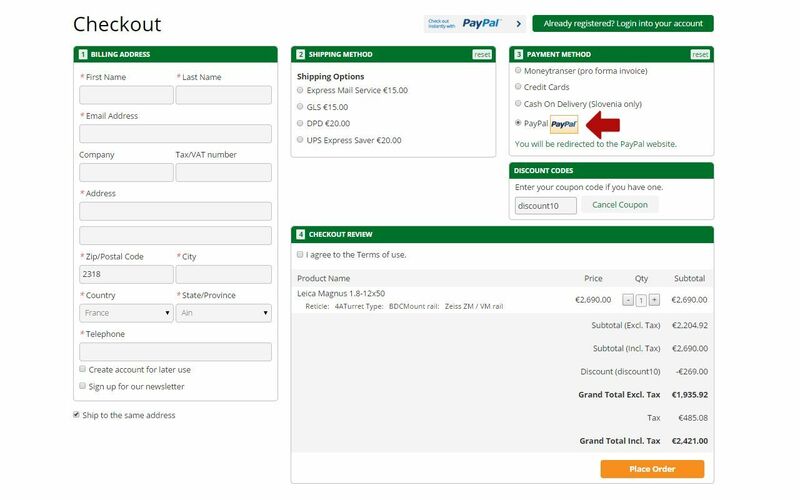 Payment is done on PayPal’s encrypted page where you input your credit card information as shown on the picture below.